A range of musical styles fills the score—from blues to Motown, and spirituals to klezmer. This story of a divorced African American maid will fill your heart. 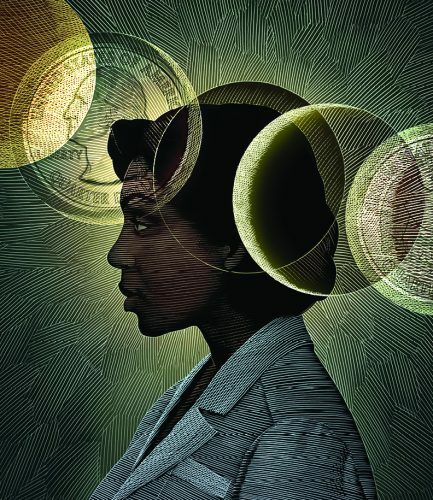 ‘Caroline, or Change,’ presented by The Southland Area Theatre Ensemble (SLATE), is a ground-breaking work that tells a story of political change, social change, and plain old pocket change. See it live at the Center for Performing Arts at Governors State University on Friday, February 2 at 8 p.m., Saturday, February 3 at 8 p.m., and Sunday, February 4 at 2 p.m.
Set in 1963 in Lake Charles, Louisiana, the civil rights movement is underway, and change is brewing everywhere. The assassination of John F. Kennedy is about to happen, and the Vietnam War is intensifying. Caroline Thibodeaux, is doing laundry in the basement of the Gellman’s home, a Southern Jewish family. Caroline and eight year-old son, Noah, are wary of the social changes around them. Having lost his wife to cancer, the man of the house is remarried to a woman who tries to engage Noah and Caroline in the momentous times. With a plan to teach his son the value of money and a goal of bettering Caroline’s situation, he leaves change in his clothes to be laundered and encourages Caroline to keep it. Torn between her pride and the chance to improve the lives of her children, Caroline must face the moment, the movement, and her life through new eyes. The production comes to life through vivid, unique characters, such as The Washing Machine and The Radio. ‘Caroline, or Change’ has collected nearly every award attainable for a theatrical production, including the Tony Award for Best Featured Actress and six nominations including Best Musical, Best Book, Best Score, and Best Director. ), The virtuosic score by Jeanine Tesori (whose work you’ll recognize in Shrek The Musical, Thoroughly Modern Millie, and Fun Home) earned her The Laurence Olivier Award for Best New Musical (2007), The Drama Desk Award for Outstanding Music (2004), and an Obie Award (2004). ‘Caroline, or Change’ has the power to change the way audiences think about musical theatre. Box Office Hours: Monday- Friday 10 a.m. to 4 p.m. (open to 6p.m. on Thursdays) and 2 hours prior to all performances. For best GPS directions always use the location search term “Governors State University” only. This performance is partially supported by the Illinois Arts Council, a state agency. Serving as a vibrant cultural destination in the southland community since 1995, Center for Performing Arts offers national touring acts, Chicago-based artists, community and academic theatre. The state-of-the art 1,171-seat facility is located at a vibrant and dynamic university setting with free parking and a convenient location accessible to major highways and the Metra.